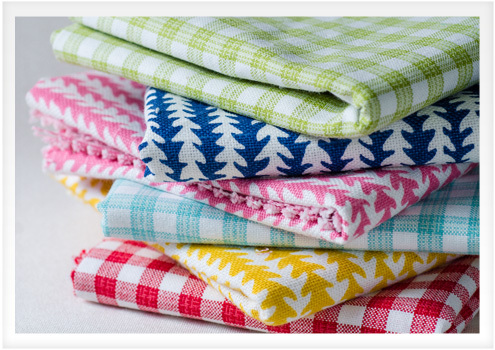 Fabric Feature: Cotton | Do-It-Yourself Advice Blog. Cotton, as they say on the commercials, is the fabric of our lives. And really, that’s a pretty accurate statement. Cotton is an incredibly versatile fiber and is used in everything from clothing and home décor to medical supplies and paper money. Cotton is known for its comfort, good looks, durability and value. In today’s Fabric Feature, we’re going to take a closer look at cotton to see why it’s such a beloved fabric staple. Cotton has a rich history and is one of the world’s oldest known fabrics. Cotton is believed to have been produced in India as early as 2000 BC and evidence of cotton fabric from ancient Egypt and prehistoric Mexico has been found. The invention of the cotton gin in the 1700’s made mass production of cotton possible. Even today, cotton is the United States’ number 1 cash crop. Cotton is a natural fiber that comes from the cotton plant. It is a soft, fluffy staple fiber that grows around the seeds of the plant in a boll, or seedpod. The cotton is meant to help the seeds of the plant spread. The cotton plant is a shrub and is native to tropical and subtropical regions like the Americas, India, and Africa. When cotton is processed, every part of the boll is used. The fiber becomes fabric for clothes, home furnishings and industrial uses like fishnets, bookbinding and tents. The seeds are used to make cottonseed oil, which is used for cooking, or the seeds themselves are fed to cattle. The linters (which are tiny fuzzy fibers that get stuck to the seeds during processing) are used to make paper, bank notes, cellulose plastics and medical supplies like bandages, cotton buds and cotton balls. As with all fabrics, cotton does have a few drawbacks. One common complaint is that cotton wrinkles easily. Depending on your application, this may or may not be a problem. 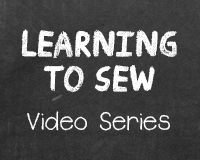 Upholstery projects, for example, pull the fabric taught, so it won’t wrinkle. Also, some cotton manufactured today features a topical coating added during the weaving process to make the fabric wrinkle-free. Cotton also is known for shrinking with the first wash. Many clothes made out of 100% cotton come pre-shrunk, but when sewing with cotton, be sure to launder it the same way you plan to wash the finished product before you begin sewing. Because cotton is an absorbent material, it is also known to absorb stains quicker than other fabrics. Also, if left damp for a prolonged time, cotton may mildew. It’s a good idea to allow cotton to dry out after it gets wet to prevent mildew. Even though all cotton fabrics come from the same plant, there are many different methods for production and weaving of the fibers to create a wide range of cotton fabrics. There are two main styles of weave for cotton: plain and twill. A plain weave creates a thinner, fabric like gingham, percale, muslin, chambray or broadcloth. Twill weave produces a heavier fabric like denim, khaki and gabardine. Another less common cotton weave is a silk weave, which produces a fabric with a dressy sheen like sateen. Other types of cotton include: flannel, chintz, organdy, poplin, seersucker, terry cloth, and velveteen. Cotton is a great versatile fabric that has stood the test of time. Maybe you’ll be inspired to give cotton a try for your next project. Depending on your application, you might choose 100% cotton or a blend to get just the right features. 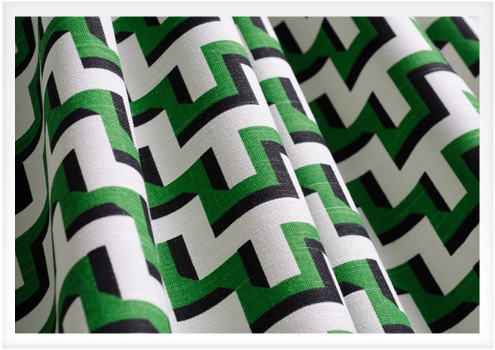 To see our selection of cotton fabrics including cotton duck, cotton upholstery fabrics and blends visit www.sailrite.com. Want to read more Fabric Features? Check out our posts on Acrylic and Polyester too! Pingback: Fabric Feature: Olefin | Do-It-Yourself Advice Blog. Pingback: Fabric Feature: Linen | Do-It-Yourself Advice Blog. Pingback: Fabric Feature: Vinyl | Do-It-Yourself Advice Blog.